Generally these age spots pose no health risk, however they can be unsightly and create a patchy, less youthful appearance. 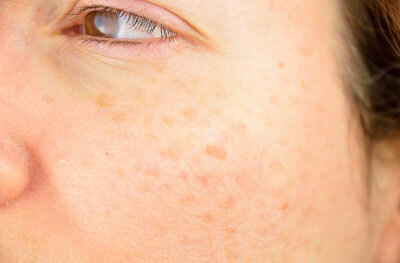 Freckling and age spots are successfully lightened or removed with Intense Pulse Light. Our intense pulse light system can help lighten these or even removed in as little as 3 sessions. The light targets areas of excess pigment and breaks down the excess melanin. Contact us to book a consultation so we can plan the best treatment for you.